Any other character? Write their name and ask them questions! Today is graduation and Louis being twenty-one weeks pregnant is making him nervous. He was mostly worried than nervous actually because he&apos;s scared that something might go wrong. He was currently wearing his graduation gown along with the cap and under it, he was wearing his black skinny jeans, black shirt and vans. Harry kissed the top of his head as he whispered, "You will be alright, I will be with you every step of the way, show me that beautiful smile of yours," and cupped his rosy cheeks. The Omega blushed and smiled automatically as he whispered, "Thank you, that meant a lot, you have no idea," then rested his forehead against his chest. They were currently in the ceremony and Louis was going to join his classmates on stage before it all starts, but he knew that he had to talk to his alpha before doing so. Harry wrapped his arms around him to bring him closer and whispered against his lips, "Remember to look at me if you feel out of place or lost, know that I&apos;m always there to watch over you and our pups," and kissed him softly. "Louis! Let&apos;s go, we need to get in places!" Niall called out while Liam was snapping pictures fondly while Zayn was fixing his omega&apos;s hair to make sure that he looked perfect. Louis pulled away from the kiss and told him with a smile while looking up at his alpha, "See you on the flip side, I suppose," and when he walked away, Harry shamelessly checked him out proudly knowing that this piece of heaven is his Omega. Holding his camera out, Harry started snapping pictures of his favorite baby while he instructed the others to take videos. Gemma chirped, "So tiny, just like this cupcake," then took out her red velvet cupcake and started munching on it. Anne cooed at how adorable her son-in-law looked and said, "I want my grandchildren to be as tiny as him." Jay nodded in agreement and said, "I agree," as she continued to record some videos. Mark was sitting down with his newspaper and folded it neatly to keep it on his seat when he stood up to take videos once the ceremony started. He said, "They should let him sit down and not stand for too long since he&apos;s a pregnant omega." Harry furrowed his eyebrows for a moment while holding the camera in his hands and asked, "Does he look tired? Should I tell them to let him sit down?" 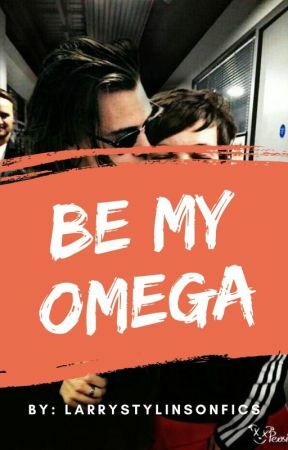 and eyed his Omega carefully. Anne thought about it for a moment then said, "He looks like he&apos;s looking for something." Des looked at Harry and whispered, "Don&apos;t do anything or overthink, if he feels uncomfortable, your alpha instincts will know of it. You two are bonded, after all." Louis was biting his bottom lip shyly as he looked around trying to spot his alpha in the crowd and when he saw him with the camera, he smiled widely while waving at him. When the alpha looked back at his Omega, he saw him shaking his hands around, so he smiled broadly and waved back while snapping some more pictures. He whispered to himself, "So precious." Later on, when they all sat down and settled down, they were currently calling out every student&apos;s name according to their major. "Louis Styles," His name got called out which made the alpha stand up to snap pictures and even though he hired photographers, he still wanted to have more pictures to remember this day. Louis shyly walked the stage to get his diploma and held it while looking towards some cameras that were flashing in his face. The Omega was a bit shocked because the others didn&apos;t have this amount of photographers like he did. He heard screams calling his name, and he blushed hotly while leaving the stage to return to his original seat. When the ceremony was over, they all threw their caps, but Louis just sat there giggling at the scene because he was too tired to stand up and besides, he didn&apos;t want to bump into anyone which might harm his pups. Harry made his way over to his Omega and handed him a bouquet of red roses while whispering, "You were so beautiful out there, I&apos;m so proud of you," and pecked his lips. Louis was about to talk but Gemma made her way over to them and showed him the red velvet cupcakes while saying, "I brought you these but I&apos;ll let you have some when we reach the restaurant because it might tire you to carry them," and he nodded in understanding. Anne and Jay hugged the Omega from both sides while pressing kisses all over his tiny face, making him giggle cutely as he hugged them back. Des and Mark took the pictures that were instructed by their wives but smiled anyway because the moment was perfect. When they reached the fancy restaurant, Louis took a seat next to his alpha and held hands under the table while the rest took their seats. The Omega whispered against Harry&apos;s shoulder with a fond smile, "Babies are moving a lot lately." Harry looked down at his Omega and whispered back, "Are they, now?" and rested his hands on top of his baby bump. Louis nodded against his neck while shutting his eyes because he was honestly fatigued but didn&apos;t want to fall asleep. He didn&apos;t want this to be over just yet. Gemma kept the cupcakes in front of him and said, "Eat, your pups are probably hungry after the ceremony." 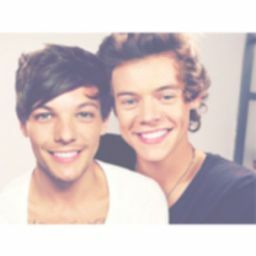 Louis smiled up at her while slowly opening his eyes that were starting to adjust to the harsh light. He said, "Thank you, Gemma," as he took a piece then ate a small part of it then looked over at his alpha and said, "Eat with me. I feel awkward eating alone." Harry chuckled and said, "If you say so," and took a bite from his omega&apos;s cupcake which made the pregnant boy laugh in surprise while saying disapprovingly, "Harry..." and blushed. Everyone at the table started laughing at the cute couple then Louis took the tissue and wiped his husband&apos;s lips because he got himself dirty. He whispered, "You&apos;re so silly," and kissed him softly while holding his jaw gently in his small soft hands. Harry shut his eyes and rested his forehead against his for a moment before saying, "As long as it makes you happy then I don&apos;t mind," and smiled while rubbing his omega&apos;s thighs. Trying to change the subject, he asked with a smile, "Let&apos;s order? I&apos;m hungry." "Hey, it&apos;s Louis, right?" Justin asked when he came from behind them which made the alpha groan with an eye roll.